Welcome to the website of Keyflow Software. 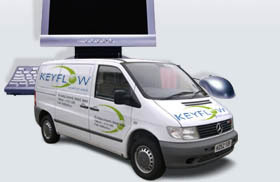 Based in southeast Ireland, Keyflow Software are providers of work flow software solutions to the field service industry. For over four years our software has been helping service engineers to optimise their workloads and control spare parts inventories. In October 2004 Keyflow Software secured a place on the Southeast Enterprise Platform Programme, a government scheme that assists entrepreneurs in the formation of high growth, knowledge-based businesses.